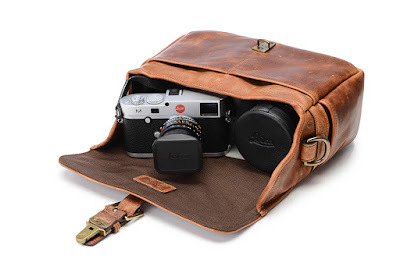 People all over the internet spend an inordinate amount of time searching for the perfect bag in which to carry their Leica(s). Of course, there can be no such thing: only the perfect bag for you. No surprise then that there are myriad suggestions for this particular holy grail. Here, then, is another. I spoke a few days ago about the Leica man jewellery industry that guys like Steve Huff and others milk - and there's nothing at all wrong with that. Fortunately, I've not been attracted down that particular road, except where the Ona Bowery bag is concerned. They make two with that name - leather and canvas. It's the leather one I like and any colour would do. I can feel the high quality of the full grain leather through the pictures. This is what a leather Ona bag looks like when new! Not huge but big enough. 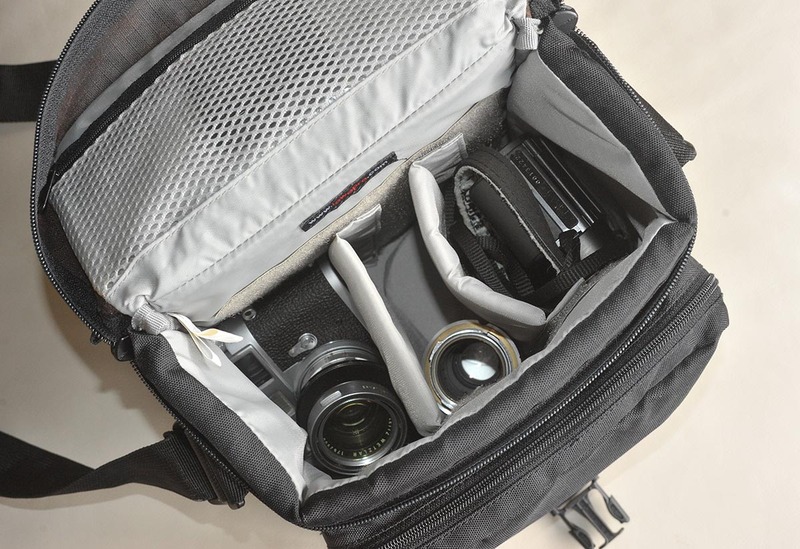 The bags are very compact but big enough for a Leica film body and a few lenses. A Nikon F and a couple of lenses would do as well. They wear quickly but look better the more they age. As luck would have it, I'm too grounded (aka impoverished) to meet the £250 asking price so I started looking around for something that would do the job for a lot less money even if it was likely to mean a lot less style. As it turned out, the price of membership to this not so elite club was most affordable. Let me introduce the Lowepro Nova 2. The Nova 2. My studio assistant decided to literally take a back seat for this shoot. 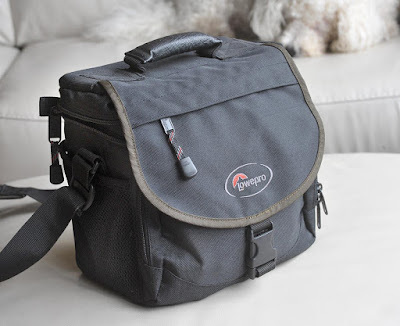 I've had a couple of Lowepro bags over the years and they've always been well-made and hard-wearing. This one was an Ebay purchase and is in excellent condition with very little apparent wear. It was a bit of a risk since it's difficult knowing exactly how big or small a bag is until you've got it in front of you. But the opening bid was just £4.99, there were no takers and I got lucky. Mind you. it's not the bargain of the century as I've since seen one at Ffordes for a tenner. They just don't seem to be in big demand. The Nova 2 is no longer made but they do come up not infrequently on the usual sites. I took to the Nova 2 straight away. I offered up the M2 and 50mm Summicron, the MDa and 35mm Summaron and the 90mm Elmar and everything fitted perfectly. Those bits filled the main compartment but there were still several pockets left for things like filters, a cable release, notebook and pencil, film and my exposure meter. All in a very compact package - just what I was looking for. possible via the vertical belt loops. 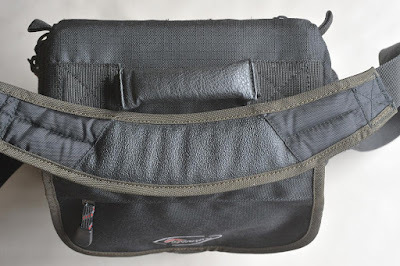 The underside of the shoulder strap showing the grippy anti-slide pad. As is usually the case with a new bag, I started mucking about to see what other configurations I could come up with. Out came the MDa and Summaron to be replaced by my Konica Hexar AF. The Super Ikonta fits in place of the Elmar and a Rollei TLR could pair up nicely with the M2 and Summicron. 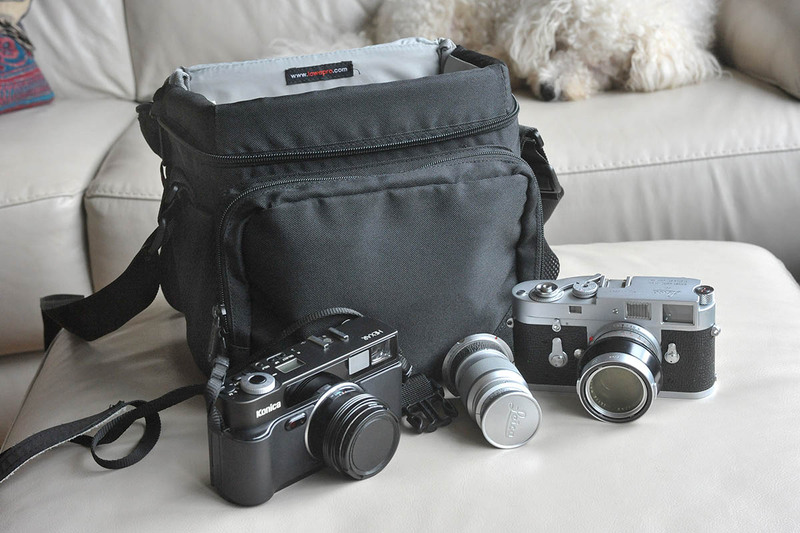 Or a Rollei and the Hexar AF, perhaps. So, the accommodation of the A2 comprises: main compartment with two dividers, zipped pockets at the rear and the top flap, springy net pockets on either side and a zipped net pocket on the underside of the "lid", front zipped pocket enclosing zipped net pocket and two small flap-type pockets. The main compartment is protected on all sides, top and bottom by some nice, thick padding. None of the other pockets has any padding. There's a grab handle on the lid and a permanently attached shoulder strap and stitched-in shoulder pad with a grippy underside to prevent it sliding down your nylon anorak. 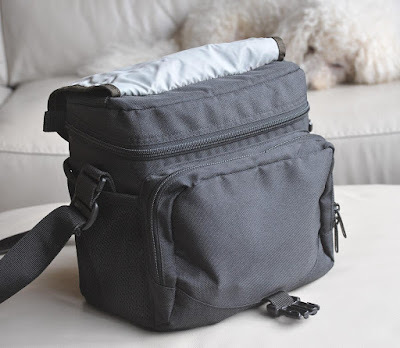 The bag also has two loops at the rear so you can attach it to your belt as a waist bag. Access to the main compartment is good, particularly if you wear the bag diagonally across your body rather than hanging from a shoulder. It's also safe enough to leave the lid unzipped and close the bag using the plastic buckle on the top flap. Access to the zipped main compartment beneath the flap. Left to right: M2 and 50mm Summicron, 90 mm Elmar and Hexar AF. The bag is quite tall and will swallow a TLR without any bother. Front pocket is good for accessories and odds and ends. It would have been handy if the shoulder strap had been detachable when using it as a waist bag. A padded side pocket or, better still, two in place of the side nets would have provided somewhere safe to store another wee rangefinder lens. There are no "feet" on the underside so you wouldn't want to sit the bag down on a muddy surface but the overall design does seem to suggest that the Nova 2 would be fairly water resistant. Hopefully that will prove the case as there's no pull out waterproof cover. 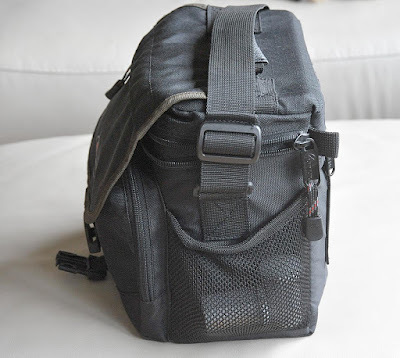 One of the few great advantages of the Nova 2 over the Ona Bowery is that the Lowepro is almost disposable. Spill a mug of coffee over your Ona and it might spoil your week. Spill it over the Nova 2 and you'll just order another coffee. So am I saying I'd rather have a Nova 2 than an Ona Bowery? Are you mad? Give me the Ona every time. But, style aside, I now have a nice, wee, imperfect Leica bag that should do the job perfectly. All that's left to do is find out how to spend the £245 I've just saved. That's a really decent bag Bruce. I've had a Nova Mini AW for a long time - it's held everything from the M2 to a Rollei and actually just fits a Wista 5x4 too! Tough, and reliable - won't let you down. Interior slightly uninspiring, but at the end of the day you want something solid and that's what you get with the Lowe. 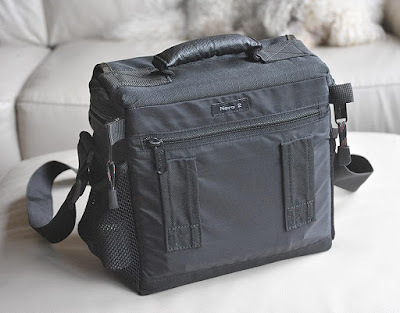 My favourite carry around 'man bag' is the Kata DC 439 - it's looks only slightly like a camera bag and is (again) totally tough and reliable. I think the whole jewellery aspect of all this new stuff makes any 'normal' camera carry gear feel a bit gauche, don't you think? Rather like, if you don't have it, how on earth can your pictures be any good! I have a few camera bags, none of which were camera bags when I got them. One's a WW2 army gas mask case. It only just holds a DSLR with 24mm and 50mm lenses. There's little padding, but it's made of a thick canvas. 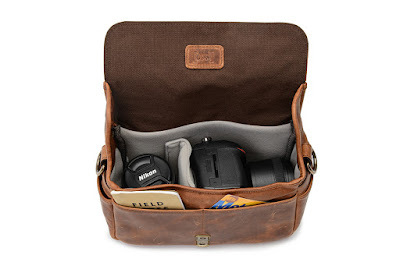 It doesn't look like a camera bag. Another, bigger one holds only slightly more despite being twice the volume. This is because it's for taking kit around in a motorcycle pannier and is thickly padded against vibration and bumps, with camping mat foam. There's 16mm on the sides and 40mm on the bottom (There's also another 24mm in the base of the pannier; North Bucks roads are very poor) It's a more modern British Army respirator case, I've had it a long time, and it's filthy. Until I replaced the padding, it had a curve in it that fitted my right cheek and kept it in place. It doesn't look like a camera bag either. Roger's comments about army bags reminds me of an ex-army steel framed "commando" rucsac I had when I was a Boy Scout in the 1950s. I used it a lot in the 1980s to carry around my first home-made 5x4 camera. In those days I never thought about the weight of camera gear - like I do now. But one day I was knackered when I got back to the car after a particularly long and tiring trek out of a very steep-sided valley. A suspicion began forming in my mind, and when I got home I took everything out of the rucsac and put it on the scales. It weighed nearly nine pounds....I never used it again. 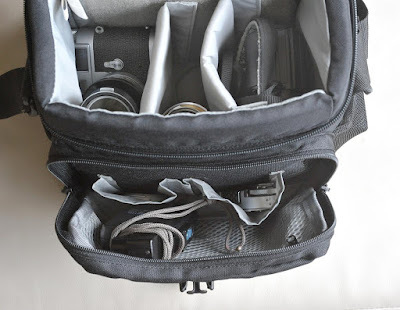 I have several camera bags .The one I use depends on the cameras selected from my collection. I may be carrying 4x5, medium format or 35mm. Or a mixture of any format. If the gear adds up to any weight it goes in a rucksack style saving the strain on my shoulder or neck. One holdall I use a lot is a coarse fisherman's bait bag . It has front and side pockets, waterproof,thermally insulated and reinforced rubberised bottom with feet for standing in the mud. My son a pure digital user uses a small rucksack style in the field but has a posh leather shoulder a bag when he's covering weddings. 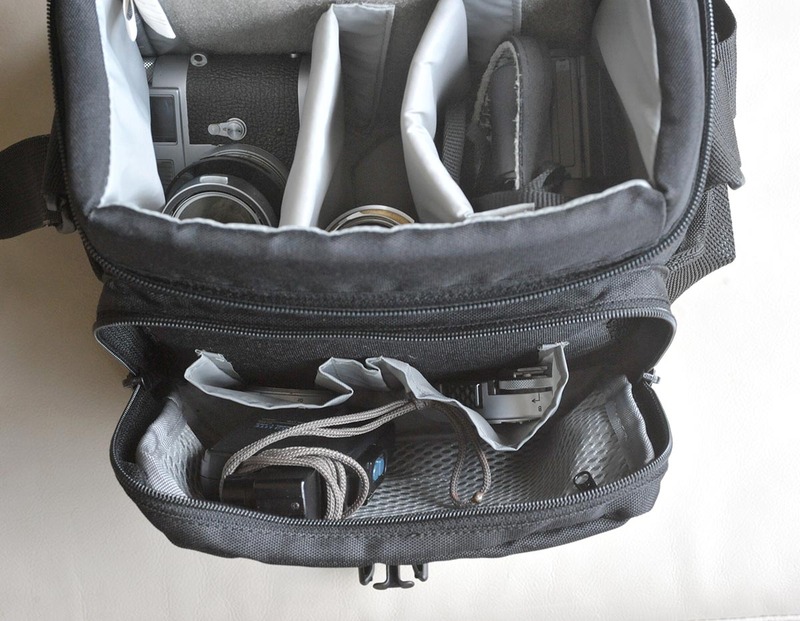 I can't imagine life with just one camera bag. I have the Nova 2 and it has lasted for 20years with no sign of wear. I keep all my filters, cable releases, note pad and pencil and other small items (levels, SLR eyepiece blockers) in it. Great bag. Before you get that Ona bag, you might care to look up Onan. I find it difficult to choose bags from web descriptions. 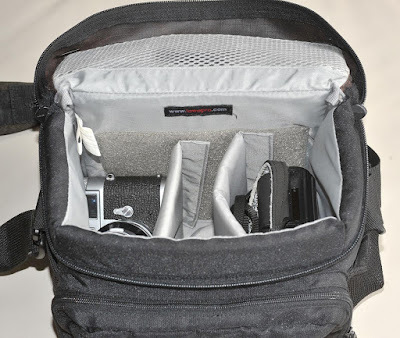 "Holds one DSLR with lens, a flash and two lenses with space for a laptop and a filter system" isn't very helpful unless that's what you want to carry. Why not give actual sizes? Fishing bags are worth a look. Onan? Time for you to withdraw gracefully, David. As for bag sizes, Google's your pal for that sort of thing. I prefer to see a bag packed with gear to get an idea of size and what fits. Exterior dimensions don't say how thick the padding is and, without that information, interior sizes don't really help with the bag's bulk. A pic of the interior with cameras and lenses answers both those questions. Having looked hard at the posh bags on display here I have realised that they put my tatty old 35mm bag to shame. I was thinking about upgrading, then remembered Jane Bown. Didn't she carry her OM1 to assignments in a shopping bag? I actually have an old canvas shopping bag that was my mother's. I use it all the time when I go up into the North York Moors to take photographs, and call it my survival bag because it holds essential things like a waterproof, gloves, a warm hat and spare socks in case I fall into a beck. A perfect padded haven in which to carry my own OM1. Now all I need is an 85mm Zuiko lens like Jane Bown used, oh, and her wonderful eye for a portrait. Then I will be in business. Do you have the matching hair shirt for that shopping bag, Alan? I have tried that bag in a store. The leather makes it a lot heavier than you would think. I have had a leather version of the ONA for some years now. 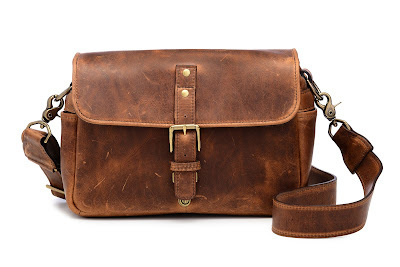 I like it a lot but I find it a little heavy when compared to modern bags. I tend to use a Think Tank with a built-in rain guard for my Leica gear - it's very light and functional. Bruce, the handsome leather bags, especially the ones with big brass fittings, are nice but heavy for the volume they hold. I always thought they were suppose to evoke the rugged outdoor era of Hemingway out on safari shooting big game. Of course, he had porters to carry his heavy duffel and kit bags. The Nova 2 is much more practical in every way, especially regarding mass per volume held, and has the added benefit that you can squish it if you want to stuff it into a suitcase. I use a Nova 5 (which is rather rare on eBay) to hold a Hasselblad 500CM plus 2 lenses. It was inexpensive and works well - what is not to like? Cheers!